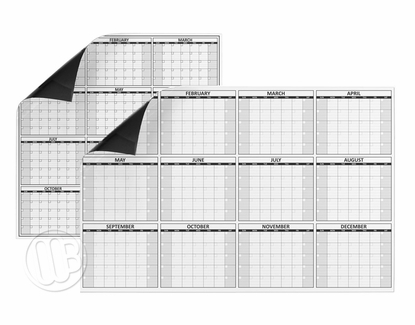 Large roll up yearly or 12 month dry erase calendar magnets. 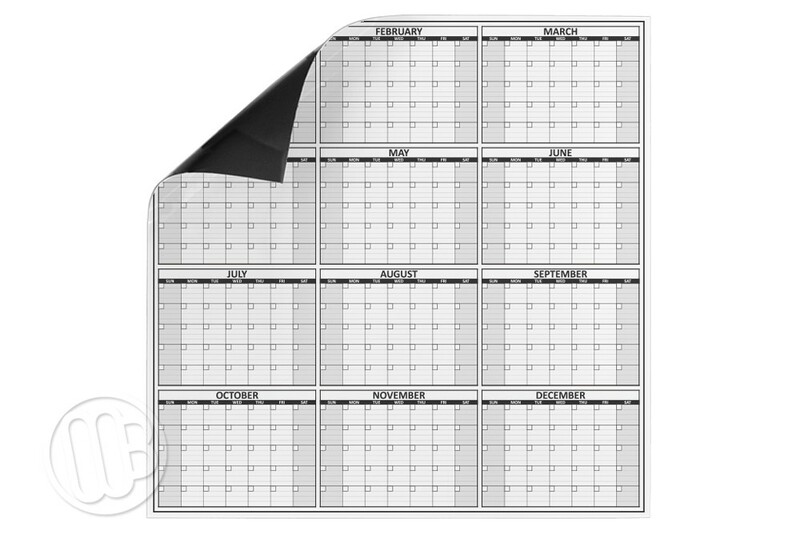 Printed on a heavy duty, super strong magnetic sheet these 12 month dry erase calendars are super convenient and easy to install and to use. 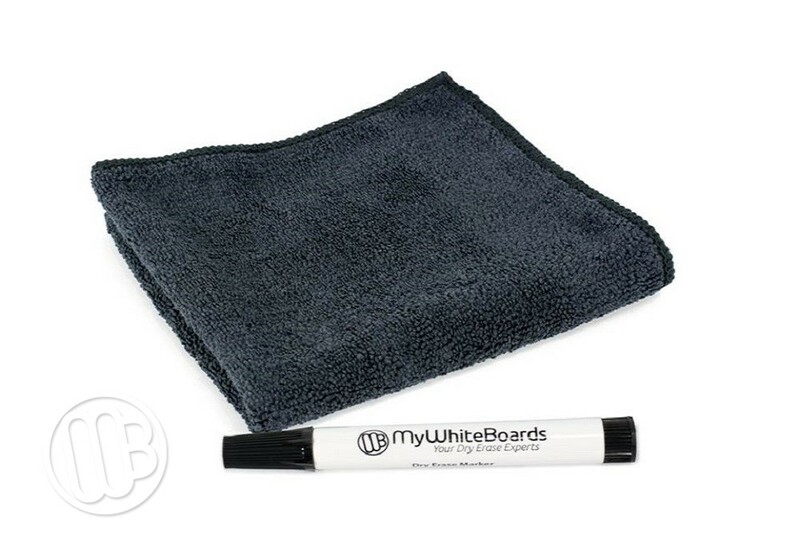 Simply find a large magnetic receptive surface like possibly your magnetic whiteboard and roll the magnet out onto the surface. 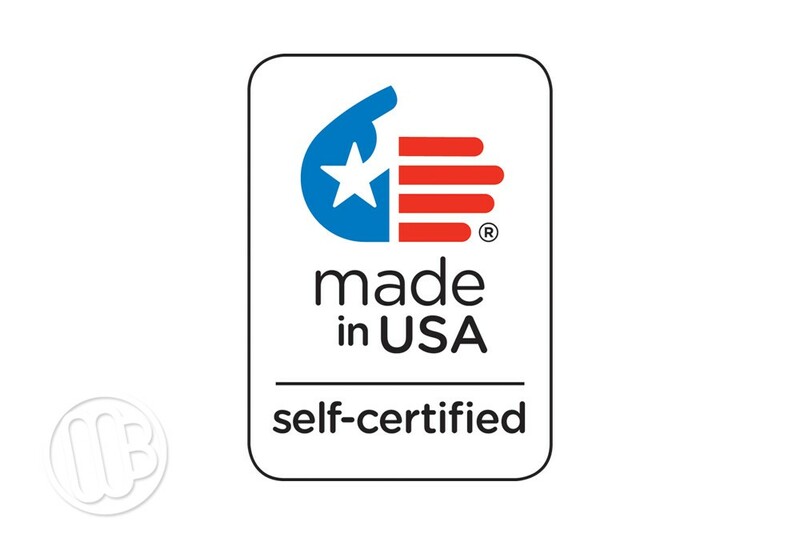 We've sized the magnets so that they should fit inside most standard sized 4' tall magnetic whiteboards or chalkboards without the need for any kind of trimming. 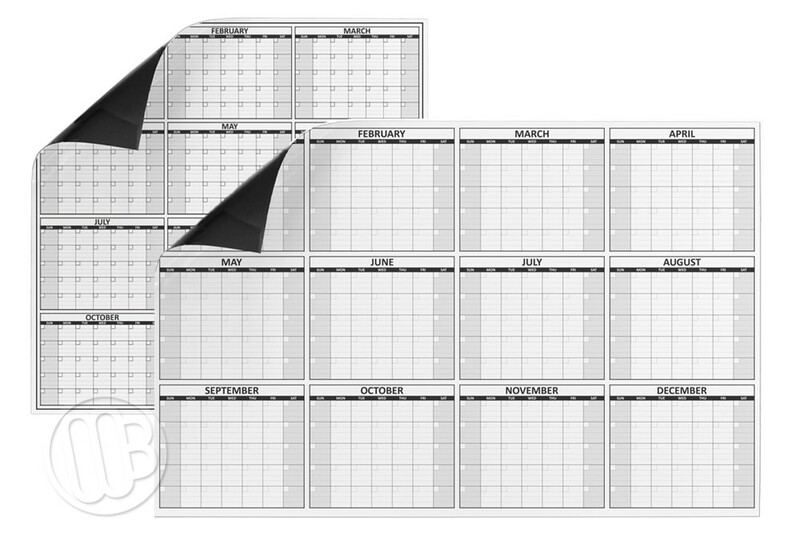 Available in two sizes of 45.25" x 45.25" (4 x 4) and 45.25" x 68.5" (4 x 6). 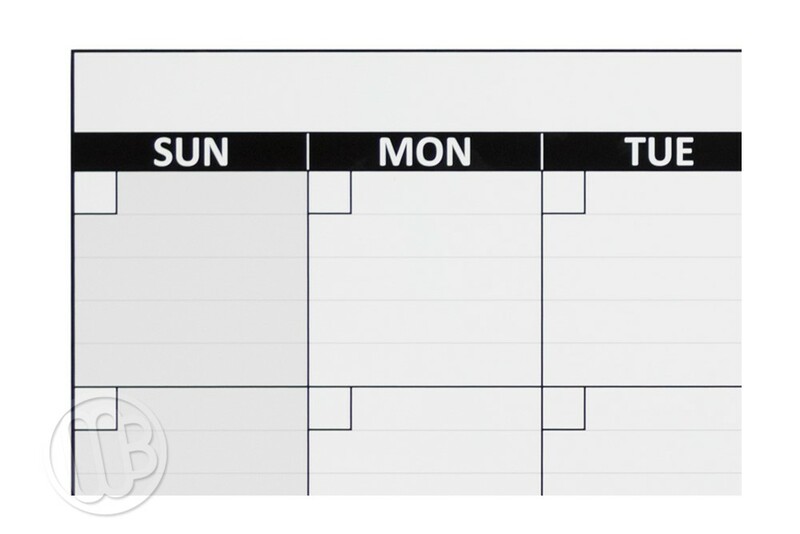 With our exclusive OptiMA clear dry erase writing surface you can use either damp erase or dry erase markers. 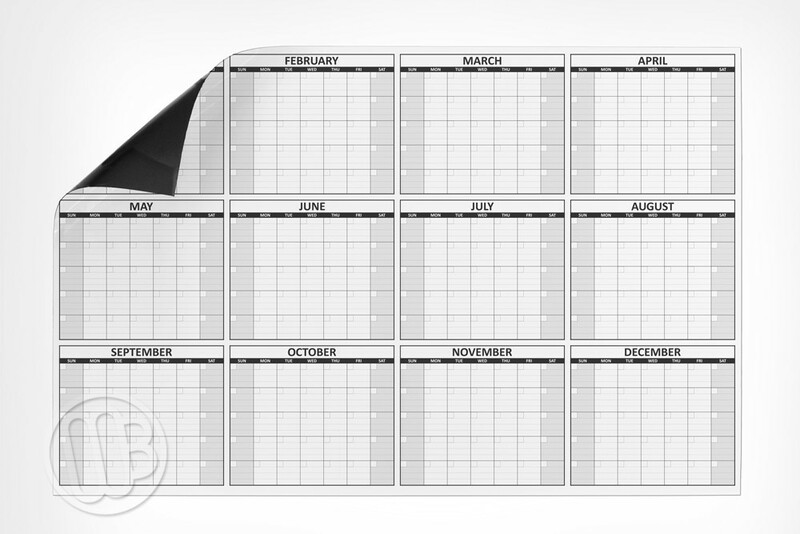 Each roll up 12 month calendar magnet is made in the U.S.A. with both domestic and imported components.